Great Commission Community Church (GCCC) exists to make disciples of Christ in the greater DMV region (our Jerusalem, Judea and Samaria) and to the ends of the earth by sharing the gospel, and equipping God’s people for godly living. Missions is not just one of many ministries of the church, but something that is interwoven within the very fabric of all GCCC’s ministries. 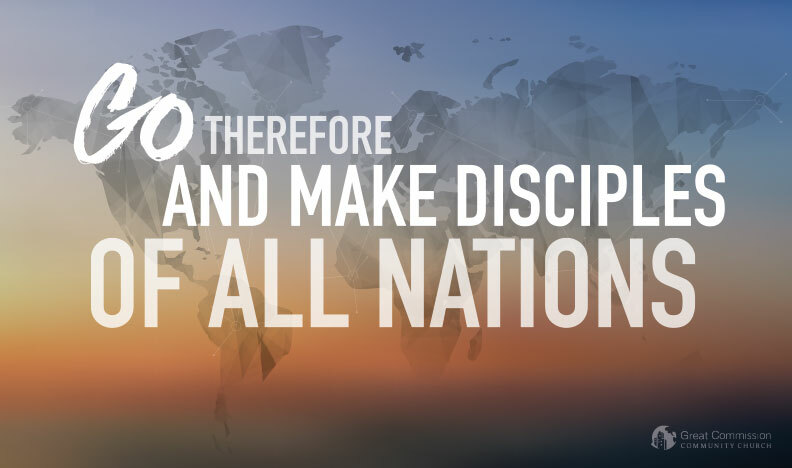 By the very name of our church, our focus is to make disciples of all nations (Matthew 28:18-20). Although the names of these places are different for our setting in the Washington, D.C. area, their meanings are still important as we work together in Christ’s Great Commission for us as a church – to go and make disciples. Our Jerusalem – same culture, same place – our church was born to primarily serve urban professionals in the DMV area. We continue to do this over a decade later as we PERSONALLY share the good news of Christ to those in our neighborhoods and workplaces. Our Judea – same culture, same place – being sent to serve beyond ourselves yet still minister to those who are somewhat similar to our background, our church continues to move out to the outer portions of our geographic area, establishing Christian communities among urban professionals in the DMV area. Currently, our church has TWO SERVICES, one in Arlington and another in Tysons, both for the expansion of his kingdom. Our Samaria – different culture, same place – we are also called to serve those who are not like ourselves. We partner with organizations who are ministering to the less reached and in challenging economic zones for the advancement of his kingdom. We also purposively position our households to live in places where opportunities for the gospel are greatest and where people live with real physical needs. Ends of the Earth – different culture, different place – it is our endeavor to partner with ministries internationally that are serving the poor and oppressed in places where there is little access to the good news of Christ. We regularly send our people to serve in these places for the short-term (a week or two) or for the long-term (two years or longer).